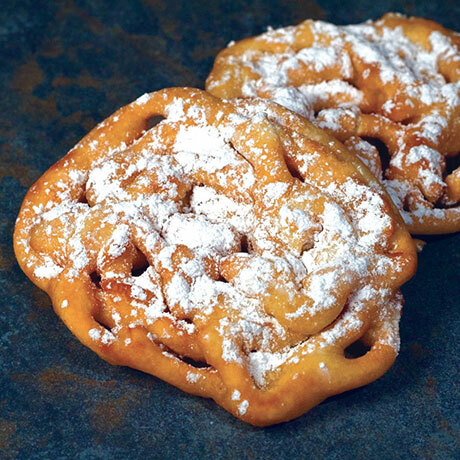 Create this sweet treat from the fair, at home! Enjoy with powdered sugar, cinnamon sugar, or even dipped in chocolate sauce! Serves 10. Enriched bleached wheat flour (niacin, iron, thiamine mononitrate, riboflavin, and folic acid with enzymes), sugar, baking powder (cornstarch, sodium bicarbonate, anhydrous sodium, aluminum sulfate, and monocalcium phosphate), salt.